Tottenham Hotspur boss Mauricio Pochettino has revealed he could allow any ‘unhappy’ players to leave before the European transfer window closes. Pochettino inherited the hot seat at Spurs back in 2014 after an impressive one year spell with Southampton and has since become one of the most revered and respected coaches in European football. The Argentine manager has turned Tottenham into a top 4 team and despite failing to win any silverware thus far, he has managed to lead the club to their highest ever Premier League finishes over the last 4 years. The Lily Whites are now associated with a free-flowing attacking style and have proved themselves to be a match for any team domestically and indeed on the European front in the Champions League, claiming the notable scalps of Real Madrid and Borussia Dortmund in last season’s group stage. Supporters had hoped that the club would invest this summer to further build on the promise of recent years but Spurs ultimately failed to do any business in the transfer window and will now have to make do with the same squad that finished 3rd last year. 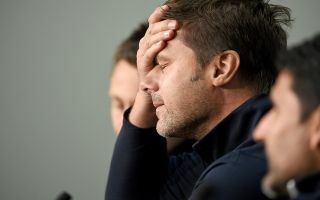 However, the squad may yet lose some of its weight before the European deadline at the end of August, as according to Sky Sports, Pochettino is ready to offload some players that have been linked with a move away from London. Sky Sports reports that Danny Rose is wanted by Paris Saint Germain and Toby Alderwiereld is the subject of interest from Bayern Munich, whilst Georges-Kevin N’Koudou looks set to join Bundesliga side Mainz on loan. Pochettino insisted he won’t stand in the way of any player that wants to leave, saying to reporters today: “Maybe, yes, we are going to see if some players believe that they can achieve their goals in another club. “Maybe they are going to move. Different individual things can happen in the next few weeks. “I don’t want anyone upset or unhappy, or with negative feelings here. Spurs first home game at Wembley this season kicks off on Monday night against Fulham and it appears that this story could well develop over the weekend as the conclusion to this summers transfer window draws ever closer.